Bulawayo residents have embraced the local civic groups’ campaign for peace in the run up to the 30 July harmonized elections saying they are determined to go out and vote in peace. Speaking to 263Chat at the “Get Out and Vote Campaign” in Bulawayo’s Cowdry park on Saturday, young people who dominated the hundreds of people who gathered to watch top Zimdancehall musicians including Seh Calaz and Jah Signal perform at the Emasimini Business Centre, expressed readiness to participate in the forthcoming elections fronting peace as their agenda number one. “This campaign, for the first time signifies Zimbabwe’s graduation to new levels of democracy and what I want to say is no violence, your vote is your secret,” said a man who identified himself as Gift Ndlovu. Another Cowdry park resident, Susan Mpofu said she appreciated efforts by the organizers of the “Get Out and Vote” campaign to rally the electorate to go out and vote in peace. One of the partners of the campaign; Women’s Institute for Leadership Development (WILD) communications associate, Duduzile Mathema said she was delighted by the reaction of the electorate to the campaign saying Bulawayo residents have committed to peace in this elections. 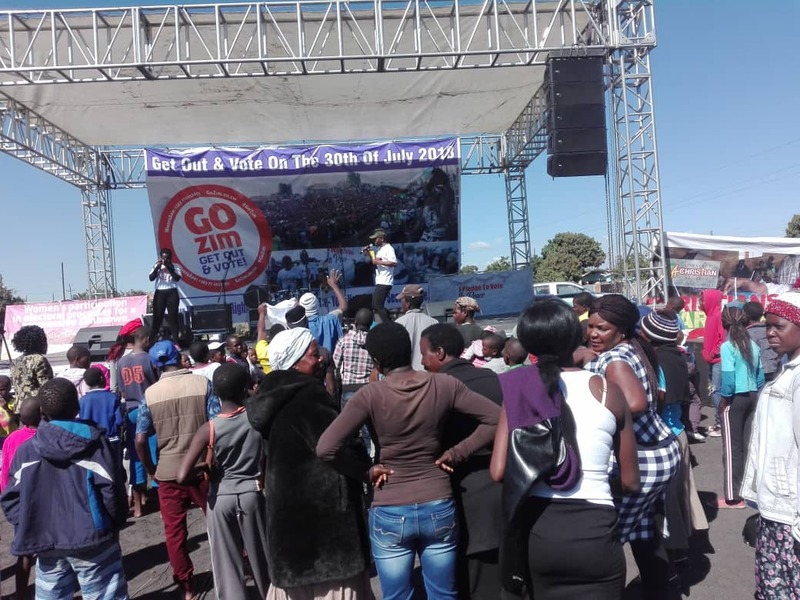 The “Go Out and Vote in Peace” campaign was launched last month in Harare with various civic groups coming together to enforce peace while motivating the society to take part in the elections. The campaign is being spearheaded by Heal Zimbabwe in collaboration with Zimbabwe Human Rights Association (ZimRights), Zimbabwe Christian Alliance, Emthonjeni Women’s Forum, Habakkuk Trust among others. Last week, the Go Out and Vote in Peace campaign had other successful peace concerts in Jerera and Chipinge where the gospel of peace was embraced by villagers while contestants from various political parties pledged to conduct their campaigns in peace.